Who else is really, REALLY excited for the Bollywood Dance Party 2.0!?! The Bollywood Ladies Dance Party, inspired by the amazing culture of India and Bollywood movies, is for Ladies (6 years +) looking to enjoy a beautiful evening of Indian culture, right here in Utah. There will be exotic Indian food, Bollywood dancers, henna, palm reading, llamas, and much more to enjoy under the sunset at the absolutely gorgeous Sri Sri Radha Krishna Temple in Spanish Fork. Everything from the food, beverages, henna, photo booths, bindi and other experiences are all included in the e-ticket price. This event is intended to learn more about the beautiful culture and rich history of the Indian culture. Your open heart and respectful presence are requested while at this event. This event will be the ladies event of the summer, and you do not want to miss it! 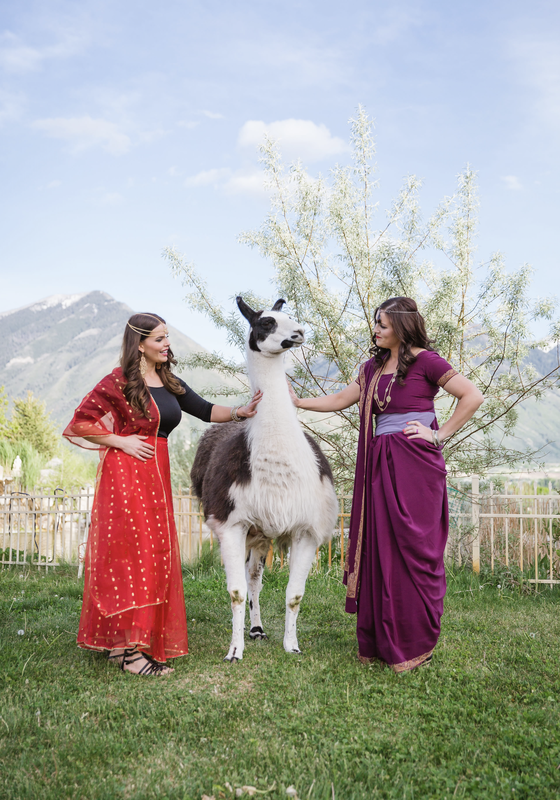 • One ENTIRE evening of Llamas, Henna and Cultural Happiness! Take a tour of the Temple, experience Middle Eastern dances, experience Indian cuisine and take photos in your sarees with your favorite ladies at the most incredible venue. • Bollywood lessons, dancing all night, and feeling like you’re in a Bollywood movie! Purchase Your Tickets Tomorrow at 9 AM! I can’t wait to share even more with you!